Another great day at fiesta. Day 5 saw light winds that delayed the dawn patrol until sunrise. The light winds started to the south but quickly turned to the north northwest. 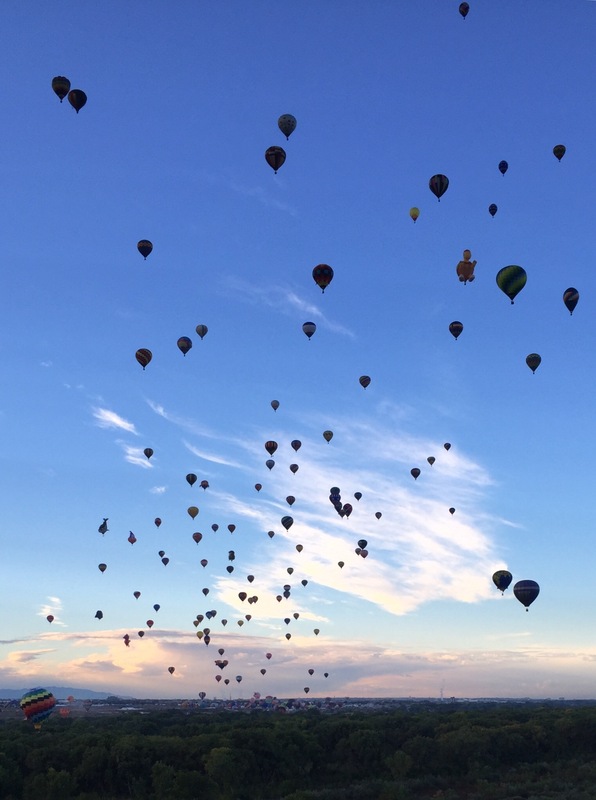 As the flight of nations took off the balloons started climbing to altitude and heading to the northwest. The flights were slow and high for the most part, however some balloons were able to play in the Rio Grande River. The fifth day of the week again turned out to be full of fun flights and great sights. See a few pics of the morning activities.